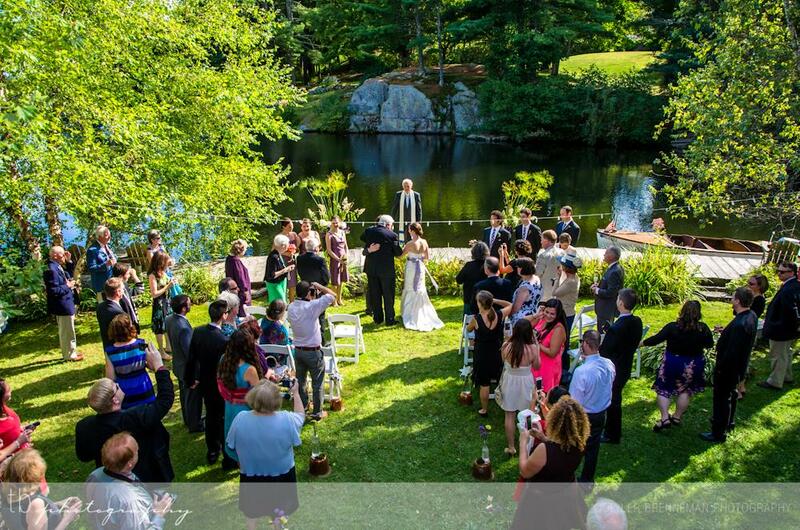 Wedding bells were chiming recently and The Foodie Family was there! It was a beautiful day and the setting, outside beside the water, could not have been more lovely. There were tears of joy and love all around! 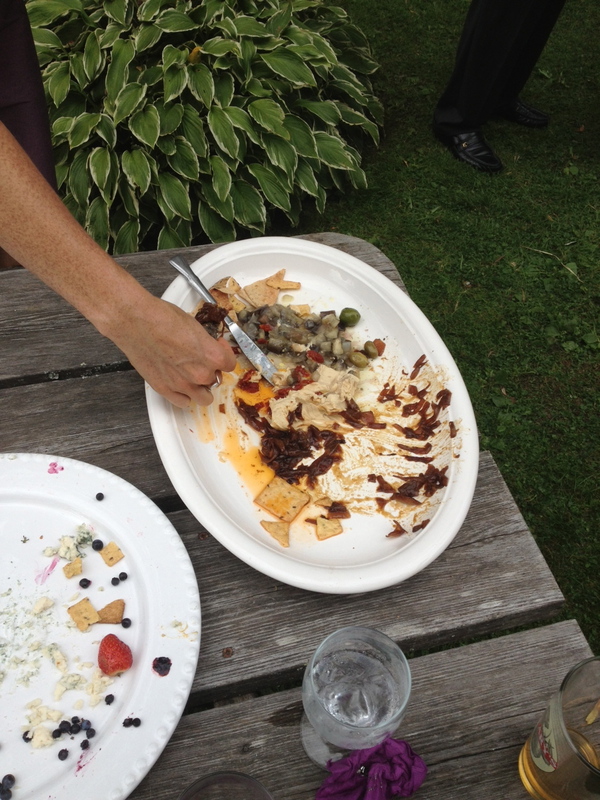 One of the exciting parts was that the Foodie Family was in charge of the appetizers! I suggested a few ideas to the couple and they liked them so away we went. The idea was for platters of self-serve, delightful combinations for people to build their own perfect bite. We knew we had combinations of vegetarians, dairy-free and gluten-free people attending and we wanted to accommodate all of them. It’s not hard to accommodate varying dietary needs. All you really need to do is be sure to provide some variety. And always have some rice crackers on hand for those who are gluten-free! They need something to eat all these wonders with! 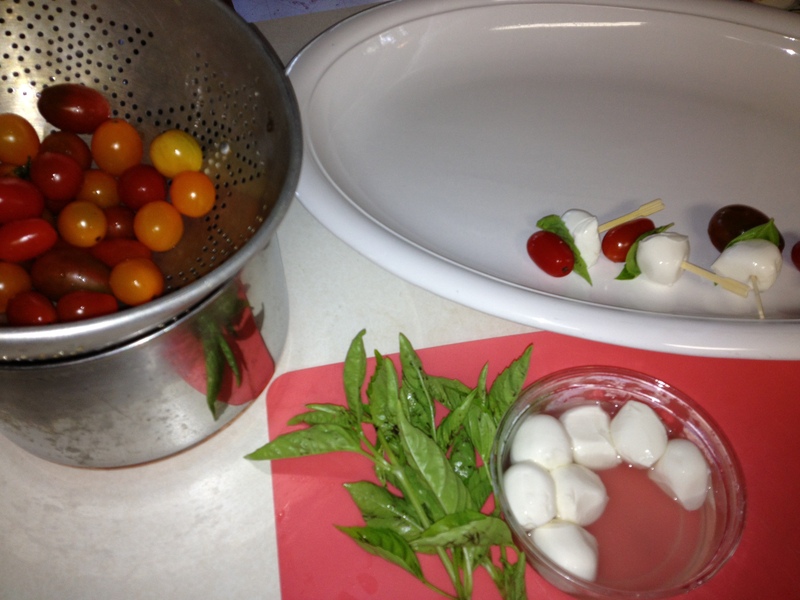 Pierce first the cheese, then a leaf of basil and end with a tomato. I found these beautiful little bamboo cocktail skewers. If you can’t find those, you can use the long grilling skewers but you should cut them in half. I find small pruning shears work the best for this. Mix all the dressing ingredients and shake vigorously in a jar and drizzle over the mozzarella. 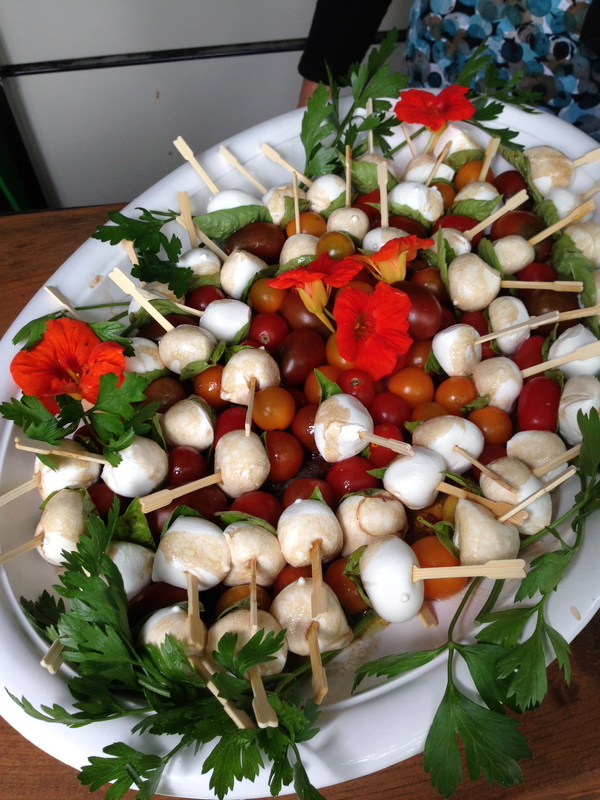 We also put a bunch of cherry tomatoes in the center for those who wouldn’t be eating the cheese. 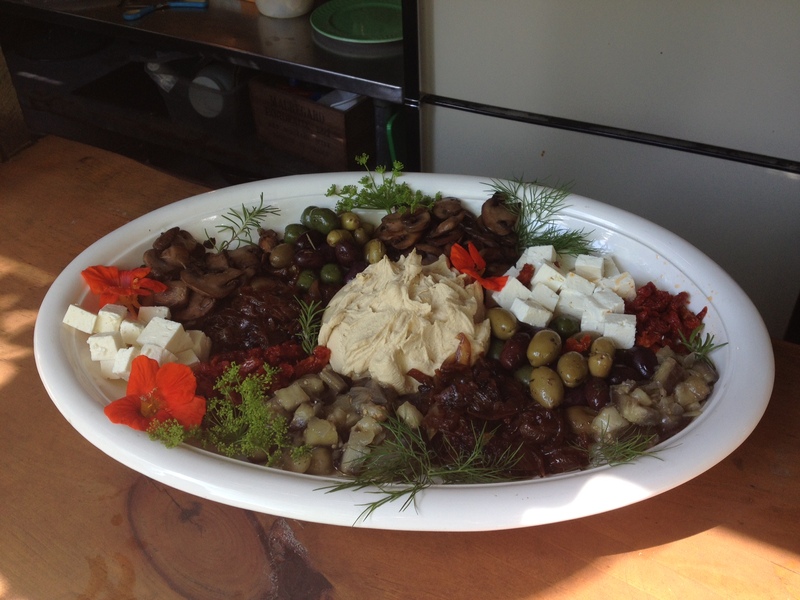 Lastly, dress up the platter with edible flowers and greens! This can be as simple as arranging the ingredients on a platter. 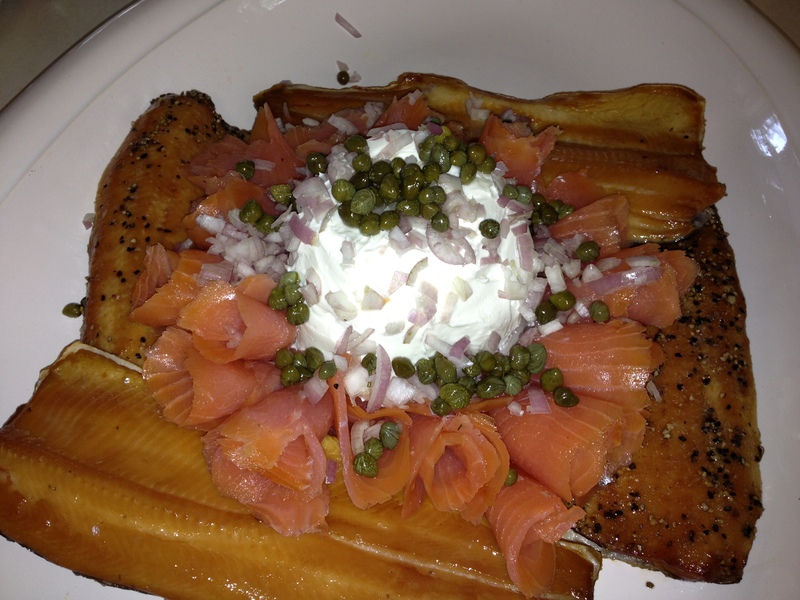 Or, you can kick it up a notch with making smoked salmon florets! Mold the cheese into a ball, sprinkle with chopped shallots and capers. Serve with crackers. The only items in need of cooking for this are the caramelized onions, eggplant and onion “relish”, and the mushrooms. You can caramelize the onions as Sam loves to do: slowly, until deeply colored. However, unlike Sam, I always use a bit of olive oil. Sam prefers oils with a higher smoke point, like coconut or vegetable oil. The eggplant is cubed, salted and steamed until soft. Sauté chopped onions in olive oil and add the cooked eggplant when the onions are translucent. I use about one cup of onion for 2 cups of eggplant. Be generous with the olive oil here! This recipe is inspired by The Enchanted Broccoli Forest Cookbook. 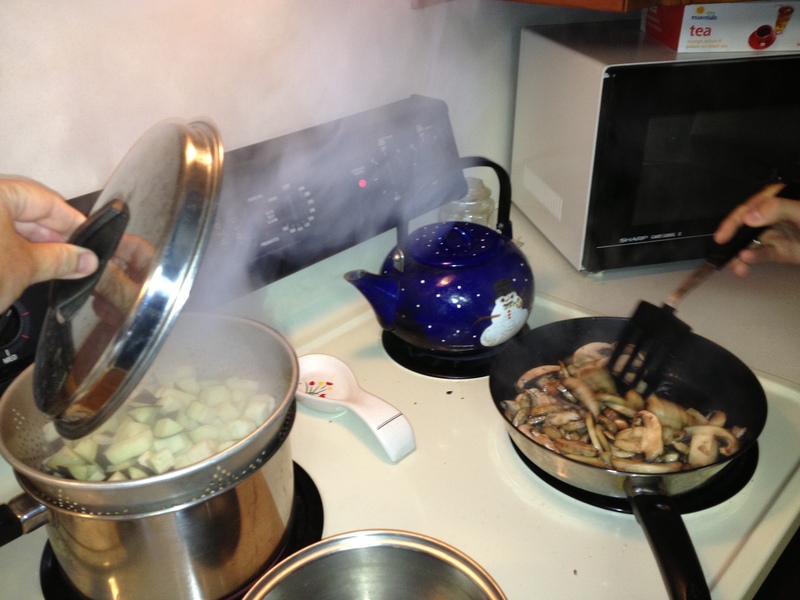 Here you see the eggplant steaming and mushrooms starting. 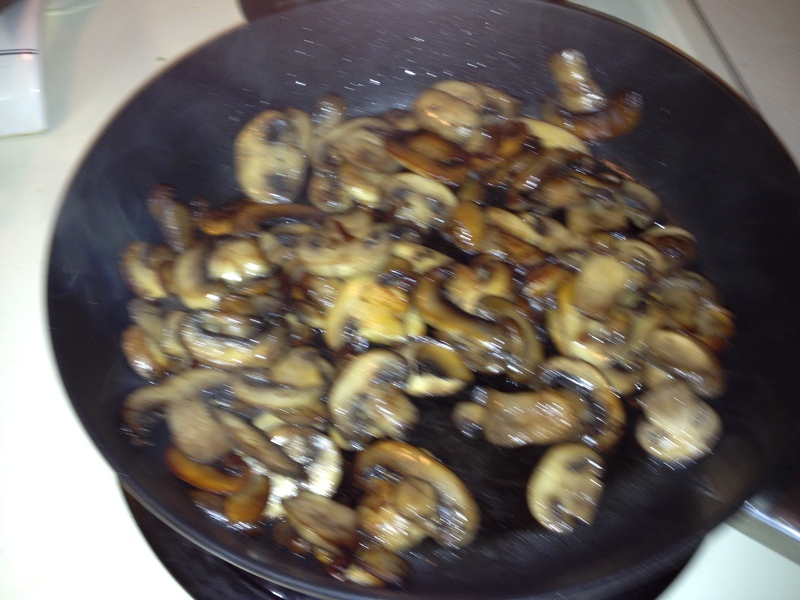 The mushrooms are super simple too! I use a combination of olive oil and butter. While I’ve read that crowding the mushrooms inhibits the browning, this was not the case. These were very crowded! But they looked beautiful when done. 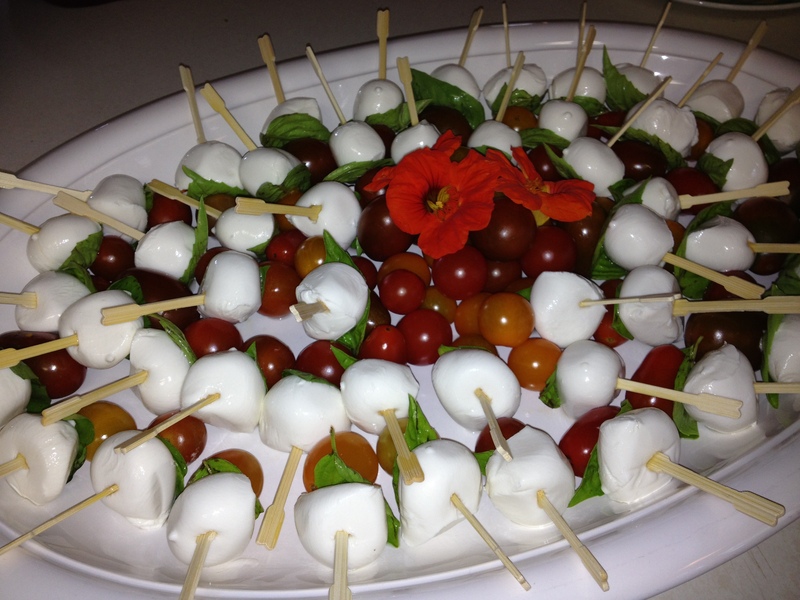 This is a wonderful appetizer that allows your guests to really pick and choose what they want. Serve with pita wedges and crackers. Garnish with edible flowers and herbs.